Rosalind was first introduced to me as Mary Mae Ward on General Hospital. It was the mid-1990's and I was on the cusp of an even more awkward venture into high school. Soap operas were my pop culture outlet of choice at the time. As such an unmovable presence, her age and locs an aspiration, quite ethereal as a wake up call that there is life beyond adolescence, Cash became a presence I looked forward to seeing and discovering in other film and television projects. Luckily, she has had an incredible career with a variety of appearances. 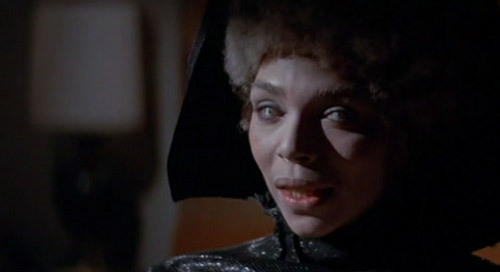 In Tales From The Hood, she was the gatekeeper of purgatory. In From A Whisper To A Scream, she was an intimidating magic tyrant. Heroes, villains, deans of colleges, Cash as a character actor gave her the ability to be a chameleon and a believable one in each of her roles. I was sad to hear of her passing when it was initially announced. I even remember the wonderful tribute General Hospital did for her.